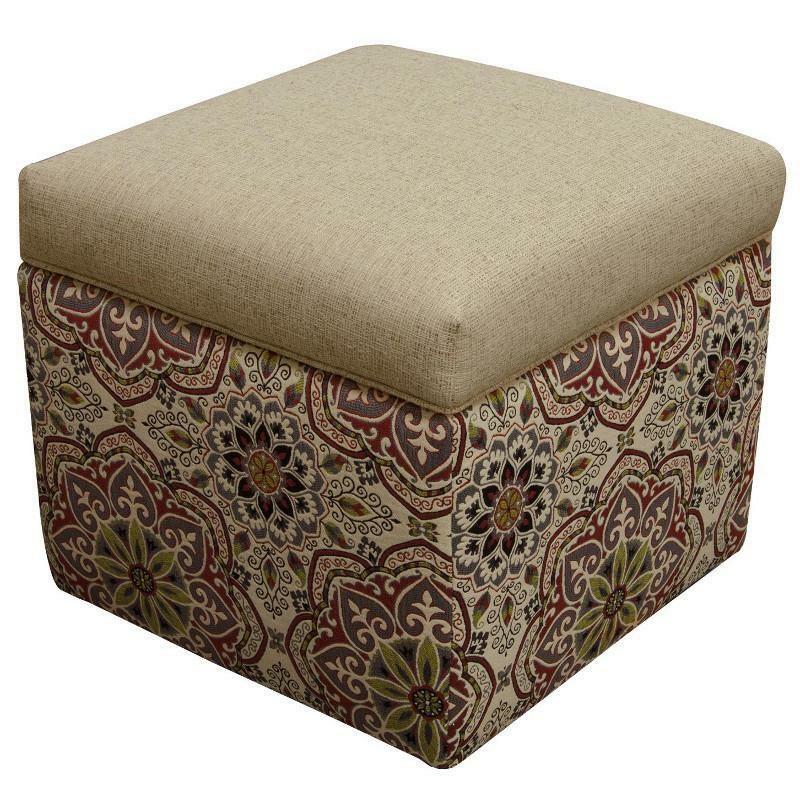 Furnish your living room area with the Parson ottoman from England Furniture. This transitional piece features a foot rest cushion and an inside storage space. Made from plywood and hardwood, this lovely ottoman is sure to please.